Somatheeram Ayurveda Resort is a great hotel in Kerala which has outstanding facilities, features and an excellent service. Do you want to know more details about Somatheeram Ayurveda Resort? 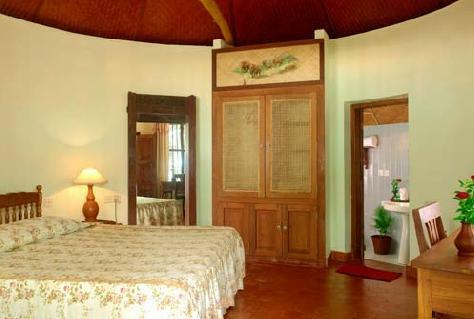 Read here about facilities, Services and contact details of Somatheeram Ayurveda Resort. The Somatheera Ayurveda resort is the first class Ayurveda Resort which is one of the tourist spot in Kerala. Here we experience a refreshing and relaxed mind set. It is an ISO 9001:2008 certified company. In Somatheera Ayurveda resort it is fully of Ayurveda and experience a peaceful yogasanas. Ayurveda is the soul and essence of Somatheeram, which has been providing Ayurveda Treatment for more than 20 years. It includes with restaurant, indoor play services, buffets, accommodations, and many facilities are available in the Somatheera Ayurveda resort. Let us discuss the location and what the facilities available detail below. Somatheeram arranges sightseeing for visitors to spot in the locality. It would be worth the money to stay with fully relaxed mood. Kovalam beach which is the famous spot in Kerala. There are three beaches light house beach, Hawah Beach and Samudra Beach. The Beach shallow water is perfect for swimming. The Famous Phadmanaba swamy temple also nearer to the Somatheeram resort from 11 Kms distance and Napier museum, Thiruvananthapuram zoo also familiar here. In Somatheeram we included with many facilities' and services for customers convenience like Evening parties, birthday parties venue in Poolside with Beach Umbrella services for refreshing view and to make relaxing. For customers convenience in case of any disorders for health there is an emergency Doctors facility also available as Doctor on call services. Cultural shows are also held in Palm shore on request of customers. In case of Power cut problems there is a standby generator is available in order to avoid inconvenience to customers. In addition to that car parking facilities also available whereas travel desk also available to enjoy the places in Kollam guides also arranged by Somatheeram. Many features with restaurant with highly delicious foods with great in quality as 3 class style. Swimming pool also available to keep us always refreshingly and soothing effect of yoga also experienced here.Other facilities which are available in Somatheeram are fitness Center, conference rooms,Forex, Banquet hall, Room services also available most important is that the whole Somatheeram is availed with Wi-Fi facility. In addition to this many features available with it compared with other resorts. Here it is Somatheeram Multi Cuisine Restaurant and Palm shore Cafeteria services are a choice for snacks and beverages, those are very delicious for customer who prefer for Somatheeram Resort 3 Star Hotel. In Somatheeram everything is preferable and nothing is avoidable to customers. The simple thing to say is all about to enjoy and Get relaxed with Somatheeram. Somatheeram is awarded with State tourism Award 2011 and Best Approved and Europe Audit Certification for Somatheeram. There are many tourist spots nearer to Somatheeram some of them are Light house beach, Thiruvallom Backwater, Samudra Beach and Valiyathura Pier Sea Port are the most familiar tourist spots around Somatheeram. These spots give you immense pleasure to enjoy with both family and friends. This is an Eco-green assured and experience a peaceful atmosphere overall and this is the must visit place when we check in to our "Gods Native Place". Are you looking for the best 5 start hotel in Munnar to enjoy your vocational days? Then you came to an ideal spot. Yes, Lake View is one of the colorful hotels which will give more leisure for you. Scroll down to read more details like room facilities, service, and contact address of Lake View. Would you like to know about Palm shore Beach Resort 3 star Hotel? Read here about Location Details, Facilities and Services of Palm shore Beach Resort. The Palm shore Beach Resort is one of the best 3 Star Hotel in Kerala which has high facilities and good customer service. Are you looking for best hotel in Kerala? Hotel Casino is one of the greatest and best hotels in Kerala. The Hotel Casino was the beginning to enjoy the holidays with great joy and happiness guaranteed here. Read here about facilities, plans and contact address of Hotel Casino. The Hotel Regency is a good and high quality hotel in Kerala which has good service and facilities. The Hotel Regency has good location advantage and good service facilitate. Read here about features, facilities, activities and contact details of Hotel Regency. The Kadappuram Beach resort is located in Trissur. The wide and long golden sand beach is only two hundred meters from the cottages in the same compound. The beach is clean and long, you can walk to any extend in any of the direction. Read here about facilities and contact address of Kadappuram Beach Resort.